The in-house Diesel Generator expert team of Engineers understands the client requirement and goes into the intricate detailing & studies all parameters, while designing. Providing acoustic lining on walls, ceiling and all doors control the noise. Shutters are usually converted to sound proof doors. Optimal air ventilation system is designed to allow max aspiration and airflow required for cooling to ensure the Diesel Engines does not overheat with provision for axial flow fans of required output & quantity for proper adequate air ventilation. 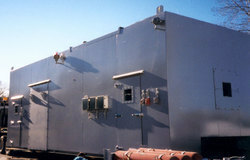 Acoustic louvers, splitter & Insulated ducts are provided for suppressing the noise level. 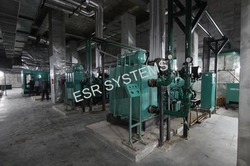 ESR Systems besides manufacturing enclosures for various types of Generators has expertise & undertakes Acoustic Treatment for Diesel Generator Rooms (Room Acoustics), a specialized engineering job. Leveraging on our years of experience, we hold expertise in offering Generator Room Acoustic to our valued clients. The offered Generator Room Acoustic are used to control noise by providing acoustic lining on walls & ceilings. Our skilled professionals interact with our clients and as per their requirements, plan and execute the Generator Room Acoustic. 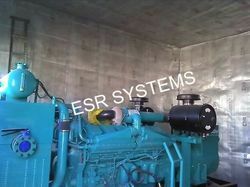 Moreover, these Generator Room Acoustic are highly appreciated in the market for their timely execution and cost effectiveness. In tune with the track of advanced market developments, we are engaged in offering a wide array of D.G. Room Acoustics. The offered acoustics are used to reduce the noise level of DG set and also functions as weather proof housing. As per the latest market standards, our offered acoustics are designed using modern technology under the guidance of our adept professionals. Clients can avail these acoustics from us at industry leading prices. 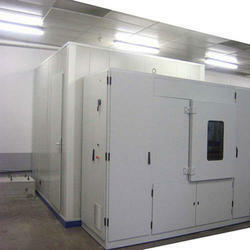 We are passionately engaged in offering an excellent quality Industrial Room Acoustic. The offered acoustics are manufactured & designed by our skilled designers using the topmost grade material and advanced technology in prevailing with the latest market standards. Available in attractive designs and the latest styles, our offered acoustics are highly preferred and appreciated by our clients. Additionally, our offered acoustics can be availed by our clients at affordable prices. Widely used in industrial applications, the best quality of D.G Acoustic is offered by us to customers in bulk. The offered D.G Acoustic is manufactured by us in bulk to meet the huge market demands. The offered D.G Acoustic is efficient and appreciated for its smooth performance in various suitable applications. Moreover, to deliver the best quality products from our end are our major motto. D.G Acoustic is known for its international quality.